Get a layered look, all in one garment. 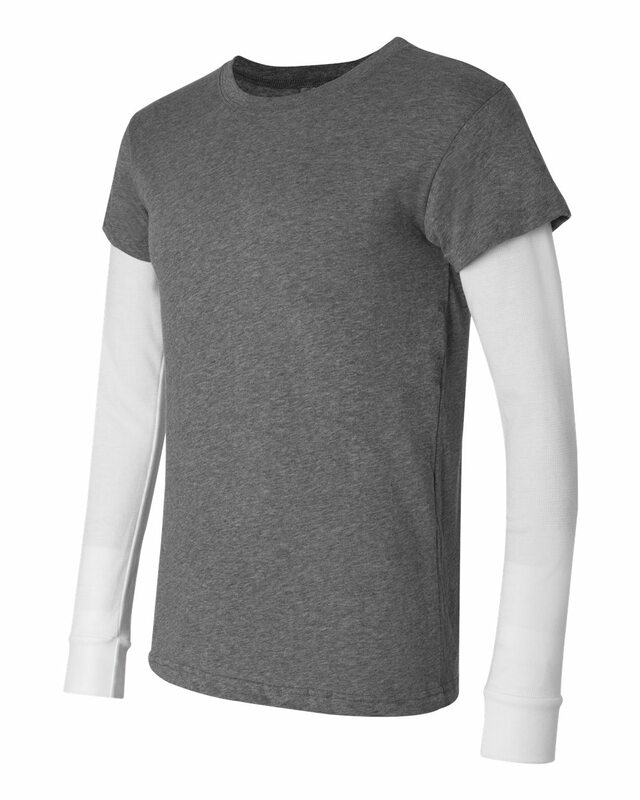 Thermal sleeves provide warmth and style. 4.2 oz, 100% combed ringspun cotton body, 30 singles. 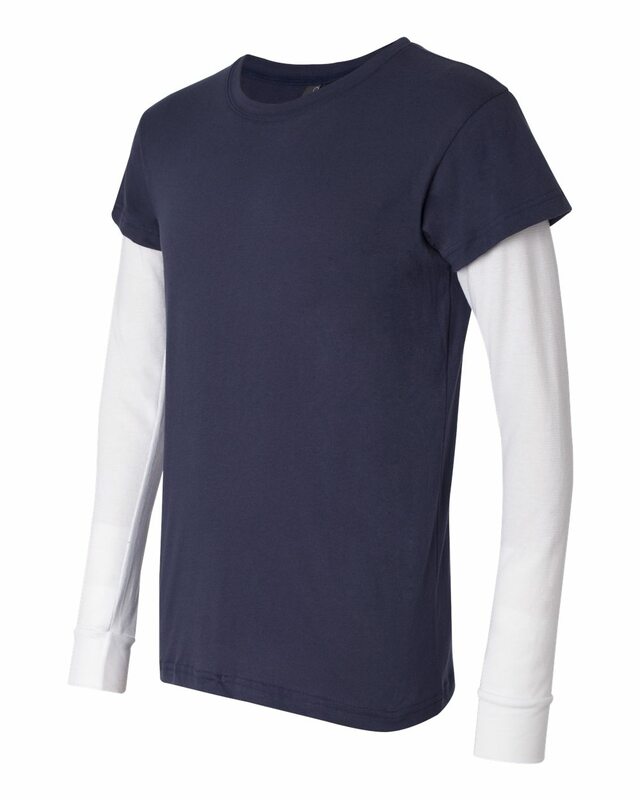 4.5 oz, 55/45 combed ringspun cotton/polyester thermal sleeves, 40 singles. 3510.